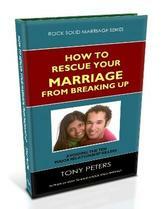 A unique way to revitalize your Marriage away from the pressures, distractions and routine of everyday life. This retreat is an opportunity to invest three unforgettable days in your Marriage relationship. · Couples who want to build their Marriage on The Rock. 7.00 – 8.00pm Dinner – Just the two of you! Please fill and submit the form below and we would let you know if there are still spaces left on the retreat and send you more information. Thank you. Registration is not complete until a deposit of £100 is received and the full payment of £300 is received. Closing date for last payment is 3rd June.